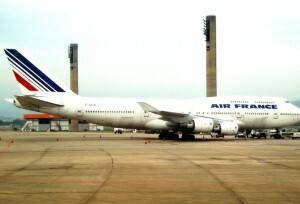 RIO DE JANEIRO, BRAZIL – French airline Air France canceled forty percent of its long-haul flights on Wednesday due to strike action by aviation workers. As the strike enters its fourth day, a number of flights are being affected between Charles de Gaulle Airport (CDG) in Paris and Brazil’s Galeão International Airport (GIG) in Rio de Janeiro and Guarulhos International Airport (GRU) in São Paulo. Air France operates flights to São Paulo's Guarulhos International airport and Galeão International airport in Rio (pictured), photo by victorcamilo/Flickr Creative Commons License. The strike – involving pilots, cabin crew and ground wonders – is set to continue until Friday, and as of 10AM, an agreement has yet to be reached. Air France is said to be losing between €$10 and €$15 million a day due to the strike. The French government has proposed legislation that will force those going on strike to give the airline a minimum of two days’ notice before launching any such action. The government says the legislation is designed with consumers in mind, and still needs to be debated by the Senate in mid-February. Meanwhile, passengers are being urged to postpone their trips until after Friday, when operations are hoped to return to normal, and to check with the airline before they travel. Air France passengers scheduled to fly during the strike can change their plans to fly later this month without penalty or change fees. Information is available on Air France’s site, or the airline can be contacted in Brazil on 4003 99 55 (in capitals) or 0800 888 99 55 (in other locations), in the U.S. on 1-800-992-3932, or in France on special number 36 54 or 09 69 39 02 15. This flight is cancelled 7% of the time anyway and has a 43% on-time rating!